Hey guys, just made this video today and figured some of you could benefit from it. It's not a 1 click jailbreak like evasi0n is, but if you follow me step by step, I'll walk you through it. Here's the video, check it out and tell me what you think. too bad i don't have mac..
Hey, is it ok if I can get what version of iTunes was being used? Should it even matter, or have later versions removed particular functionalities? my iPhone is sim locked. I unlocked it using redsn0w for iOS 6.0.1. Should I first update to 7.0.4 and then jailbreak it ? And so would it stay unlocked afterward ? I have an iPhone 4 sim locked probably country lock (Not sure what is the difference. Yesterday I found a way to unlock it myself but I don't know what will happen if I update it to iOS 7)Any help ? 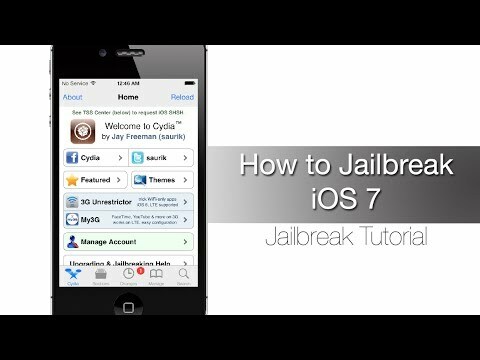 evasion7 release jailbreak for ios 7xx.. 7.0.4 but still negative for icloud bypass,. i have upgraded to 7.0.4 and i can use only the original carrier and if i try to use other carrier it shows sim failure , invalid sim or no service . i have been looking all over internet for solution but haven;t found one yet .. would advice stay with that don't upgrade .until you have done it , if yes then do share the result ..